Japanese publishing giant Kadokawa Games is set to hold a media briefing on June 13 to reveal the latest news on its upcoming titles. The announcement (via GameSpot), which has been translated by Gematsu, states that details for “Demon Gaze 2, God Wars: Beyond Time, Root Letter and so on” will feature at the event in Tokyo, but there’s a potentially bigger announcement that may crop up during the conference which is being kept under wraps. 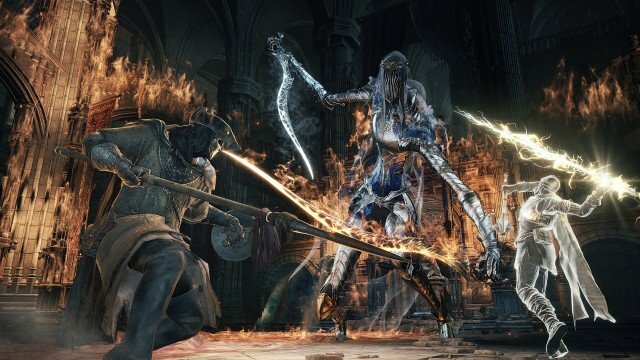 Kadokawa acquired Dark Souls developer From Software in 2014, and with Dark Souls III having been out for over a month, eyes have already started focusing on what series creator Hidetaka Miyazaki will be doing next now that Souls has come to a self-proclaimed end. We already know that the studio is already hard at work on a new intellectual property, but what it is remains unclear. The June date of the Kadokawa briefing will have undoubtedly been set to capitalize on the massive draw that is the annual E3 event in Los Angeles, so there’s probably no better time to generate interest in a new IP. Other possibilities include a teaser for the first of Dark Souls III‘s two add-on DLCs, the first of which is scheduled to release in the Fall, but we’ll just have to wait and see what Kadokawa Games has up their sleeves. The briefing will begin June 13 at 13:30 JST / 00:30 EST / 21:30 PST.